In the upper left corner of the lobby room, there is an info player that shows various information about you like nickname, ranking, level, rank and also the exp bar needed to go up to the next level. To see more information, click on the player info. Level: Your current level and rank. Experience: The number of Exp already collected. 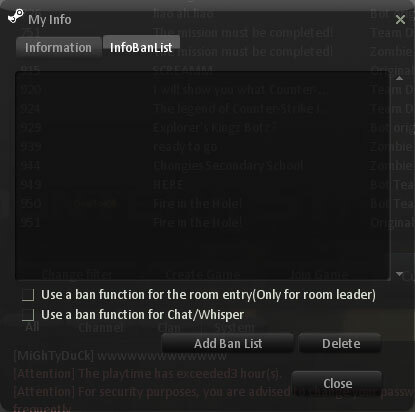 Mark on the second option so you can not see the chat or receive whisper from the player in your ban list. On the left low corner in the lobby room, you can see the player list. From here you can see the players who are active on the channel, list all your friends, list all clan members, send a whisper to other players and also add other players as your friends. Show info: View player information. Send note: send a message. Whisper: sends a private chat message. Clan Invitation: sends invitations to join clan. (only possible if you being a Chief Clan). Report: report the player for unpleasant behavior. Add Ban list: add the player to the your ban list info. : used to send messages to other players. : used to add friends in-game. Show info : view information from your friends data. : This Co-op function is used to direct you straight to place your friends and connect automatically. : Send Note is used for sending note. 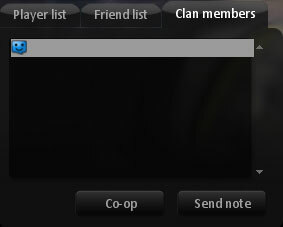 You can see the clan members who are online. 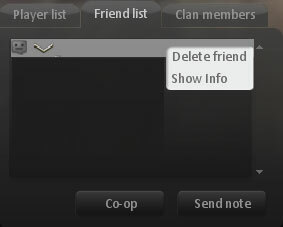 Co-op and send note functions can also be used here. In the lobby room, you can chat with all the players on the channel. Do Chat on the chat box. Chat box is a place where you can chat with other players in the lobby room. 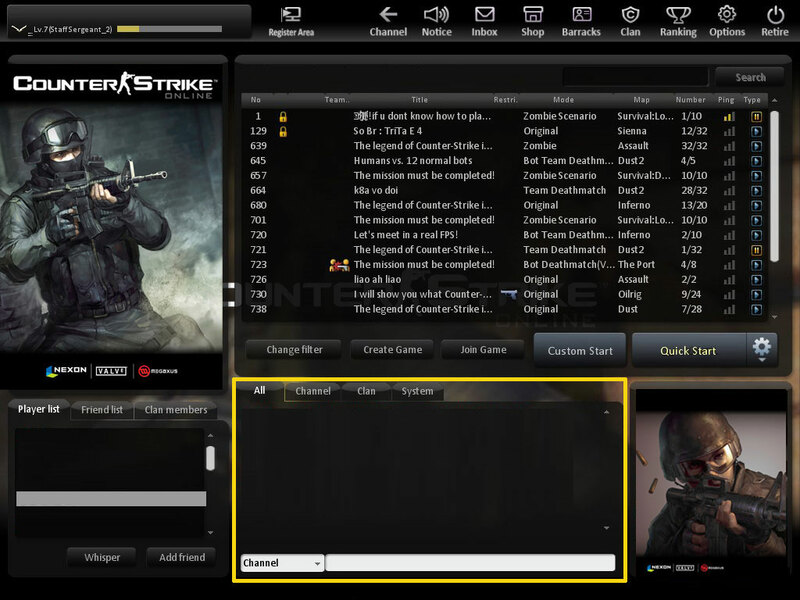 There are different types of chat that can be seen in the chat column.You can set and choose the type of chat you want. All : see all types of chat. Channel : chat within the channel where you are. 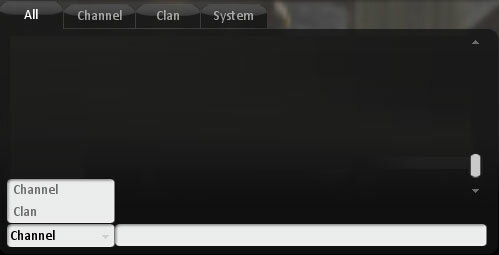 Clan : chat with all your clan members. System : announcement or chat coming from the game system. To access the room more easily, then in the lobby room there is a room menu so players can choose the game room you want or even do the sorting room based on the game mode you like. Change filter is used for players to filter on the room displayed in the lobby room. 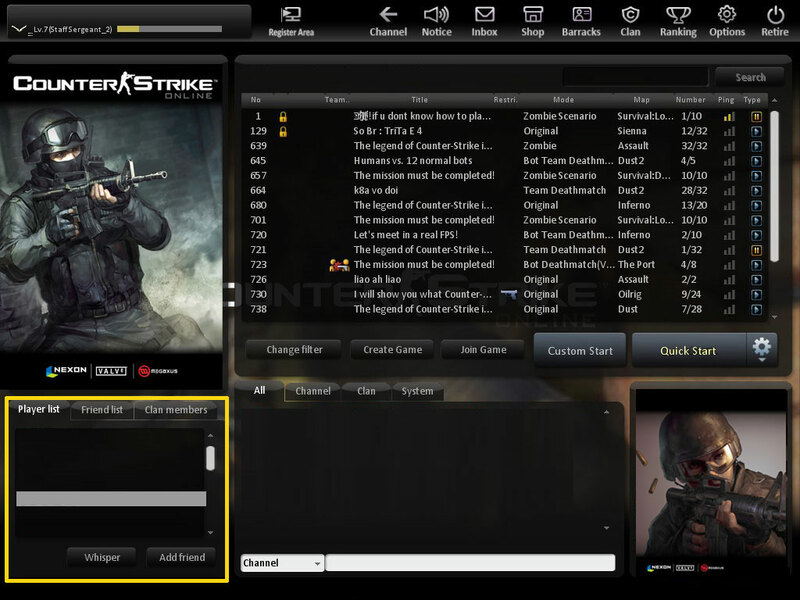 You can adjust the filter based on various options such as: mode, folder, ping, level and etc. Use this button to create a new room. all settings for games can be done after accessing Create Game. These settings include: room title, password room, limit, level, game time limit, mode, map and more. Choose the room you want to play and then click on the button Join Game to enter into game room. . Custom start is used when you want to start or go inside game room that suits your requirements. Quick start is used when you want to enter the room with certain modes. You just need select one of the modes and then click on the button quick start. You will automatically be placed inside room randomly according to the game mode you have chosen. In this section will be discussed the main menu at the top of the lobby room. 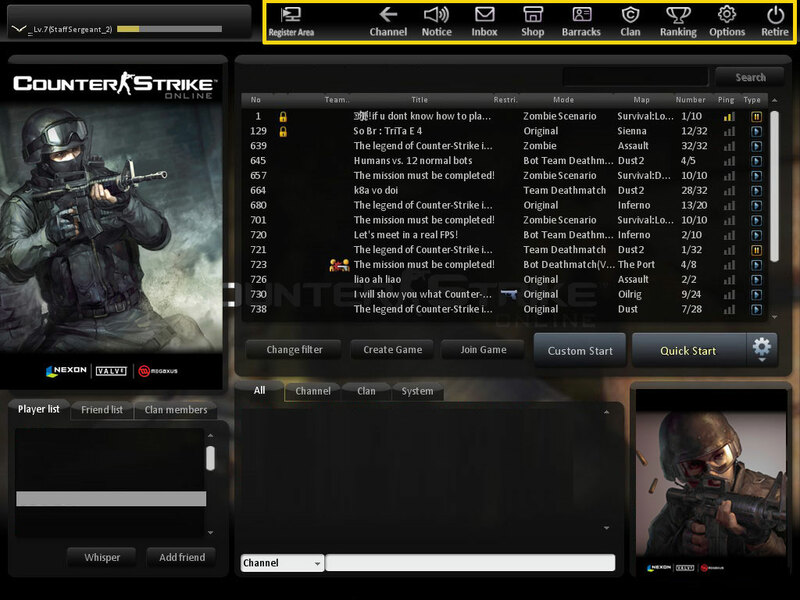 From there, you can access all the features of Counter-Strike Online. Each of the available menus will give you access to any required features, useful information, access to items or weapons and the experience of playing Counter-Strike Online. This menu is used so you can register your location. The areas and locations you have input can be viewed at player information. .
With that way you can better know the other players and your rival. This menu is used to return to server room if you want to move to a different server. 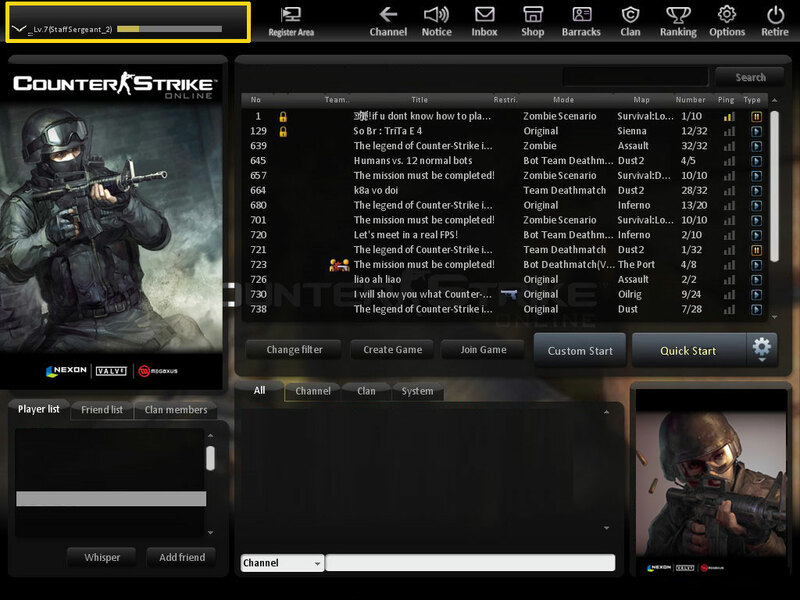 access this menu if you want to see the latest news, events from Counter Strike Online. Each of these notifications also comes with an event explanation so you can more easily understand it. This menu is used to view your mailbox. There are all the messages you have received or that you have send. Of course from the inbox, you can send messages, reply to messages and delete messages. This is the most important access menu for everything. Shop offers a wide range of equipment and evenavailable characters you already need to play on in Counter Strike Online. enter into barracks and prepare yourself with everything appropriate equipment and weapons. From here you can see all the items you have. And also you can set the matching equipment set make it easier for you while in the game. Enter into the clan menu and find the most complete information from your clan or even the other famous clan. 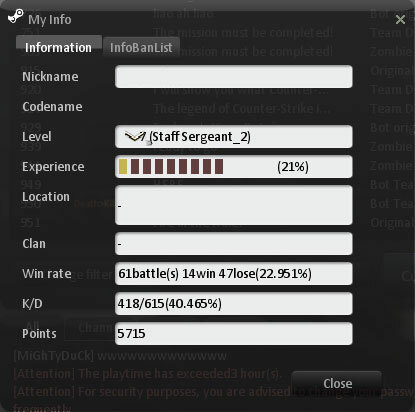 various info can be seen starting from clan name, clan level, amount clan members, clan records, rankings and more. From here you can also form a new clan, combine 2 clan (clan merger) and clan battle with another clan. Want to know about your rankings? or perhaps the development of other players ?. If so then all of the rankings and info can be seen its own ranking is divided into various kinds such as: ranking for players, clans, areas, certain modes and more. In here you can change or manage various options so you can play more fun. These settings include: Spray images, crosshair shapes, keyboard settings, mouse sensitivity, audio, video and voices. Access to this menu if you want to quit the game.